The Copy feature in Customer Master and Supplier Master apps in SAP S/4HANA and SAP S/4HANA Cloud helps you to create new master records by copying an existing customer master that have similar data. You can select a master data record and click the Copy button to copy it. This opens up the new master data record in draft mode, so that you can make necessary changes before saving the new record. There are two types of copy: Copy all data and Copy with Preselection. Copy All – After selecting the master record to be copied, when you choose the Copy button, all the data get copied and a new customer/supplier master record opens up in draft mode. 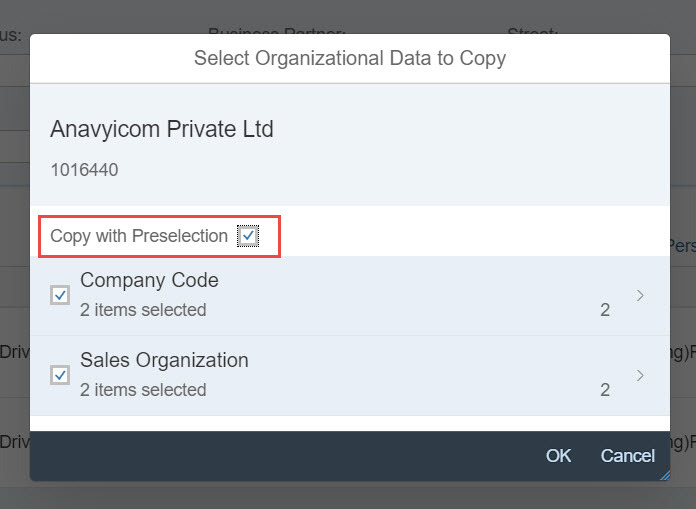 Copy with Preselection – When you choose the Copy with Preselection option, only the predefined data (based on a backened function module) get copied. The predefined fields include Company Codes, Sales Area (Customer Master), Purchasing Org (Supplier Master), Roles, Liable for VAT, DME Indicator etc. how abaout a copy feature in trascation BP? I haven’t found it so far, ist there one available? You can use this option to create a customer/supplier master record, if a master record already exists with similar data. Open Maintain Business Partner app and choose Create By Reference. Select the BP role, based on which data will be displayed for selection. On Create By Reference screen, in the Business Partner field, enter the business partner number whose master record you wish to use as a reference. If you enter only the business partner number in the reference section, and do not select any role specific data (for example, Company Codes, Sales Area, or Purchasing Org) the system will only copy the general data into the new master record. If you also select data for example, sales area, the sales and distribution data will also be copied. You can change all copied data. Select or deselect the data based on your requirements. You should check each screen before saving and, if necessary, add data or change the default data.